Welcome to the inaugural episode of the show! I’m thrilled to have YA author Keris Stainton as my first guest. I met Keris in an online writing group many years ago, and I have been delighted and excited to watch her build a successful career as a beloved author of YA fiction. We talk about our writing processes and routines, and the importance of support and mentorship. The WoMentoring project set up by author Kerry Hudson. It’s a peer mentoring service run on a voluntary basis which offers support for female writers who are unable to access paid-for services. I’m very new to this so I’d love feedback. Please get in touch. If there is anything you’d like covered in the show or a writing-related question you’d like answered, just let me know. Please spread the word and, if you can spare the time, leave a review on iTunes. Great podcast Sarah, thank you very much for the hints and tips! Thanks so much for listening and commenting, Luke – I really appreciate it! I am a new and yes very worried writer, so am thrilled to have found your podcasts. I have started several novels, but never finished them, I’m hoping that I will get inspiration and hints and tips to finish one. Looking forward to listening to the other podcasts. Thanks for listening to the back list, Pete! 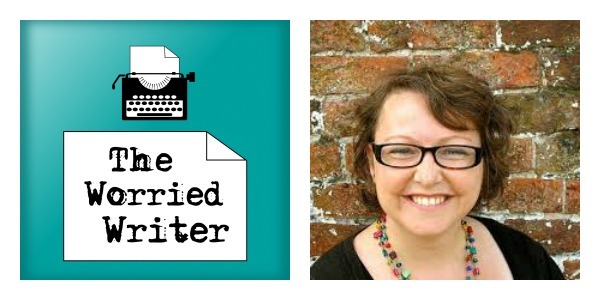 Writer: A conversation with YA author Keris Stainton – The Worried Writer <Loved it!